Hello, everybody! This is my second post today! 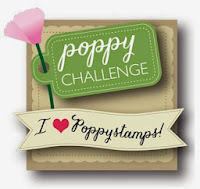 I'm excited to announce that I'm a Guest Designer at UnstampaBelles Challenges this month! Thank you to Susan for inviting me! Our theme is Resistance. The Twist is to use a resistance technique and explain it on your blog, so that's what I'll be sharing today! Please note that no stamping is permitted at UnstampaBelles. This is always a challenge for me, but I accomplished it! Here is a link to the challenge rules. 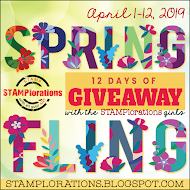 There is a great prize to be won again this month, so I hope you'll head over and join the fun - please tell them that Kitty sent you! Here's a direct link to the November challenge. To create the backgrounds of all three pieces, I followed the same technique. Using a finger dauber I applied Versamark through the stencil onto white cardstock. I suggest taping down the stencil so it doesn't move. Next I heat-embossed each one in white. Using a mini ink blending tool, I applied three colours of Distress Ink until blended. I decided to use the darkest colour at the top, so I started with Peacock Feathers, then Evergreen Bough, and finally Tumbled Glass. Inspiration: My tag was inspired by Tracey McNeely's tag on Day 9 of the 25 Days of Christmas Tags - I love the little snowy mountain scene Tracey created on her tag! Thank you for looking at my creations! Wishing you a joyful day! A totally delightful set of seasonal makes Kitty. Hope you soon feel better. Unstampabelle is a beautiful challenge and Susan is a lovely person, so kind and sweet!! You well deserve your position! Your works are always so creative and adorable and these three aren't an exception, surely! Love very much the technique you used and the snowy sky has come out fabulous! Thanks for sharing! The cute kitty on the candy is very fun and sweet, he makes me smile! Love very much the scene you have created! Fabulous projects - great design. Congrats too on being GD. What an amazing set Kitty! Love the technique you used in and the snow BG is so perfect for this cute Kitty image! Fabulous job done dear! And take care of your health, get well soon! A gorgeous set of creations Kitty. Such a cute image and a lovely scene. Thank you so much for sharing your lovely creation with us at OMCFC. Awesome creations Kitty! No stamping... is definitely a challenge but you did an amazing job. The image is darling and I love the snowy background. congrats to be Guest Designer ! wow! this is so super nice! First of all CONGRAAAATSSSS!!!! i DO NOT DOUBT THAT THEY WANT YOU, YOU ARE AN AMAZING ARTIST!!! Second: your gift bag, card and a tag is so amazing, great work and great explanation!!! Beautiful work, Kitty. What a nice way to know your work is liked by being asked as a guest designer. Your work warrants it as it is so pretty. This is so beautiful and sweet Kitty. These projects are really nifty. It seems you did so munch work to make them without any stamping but the results are so worth it. I really like the resisted snowfall! A fabulous collection Kitty, such a cute image and lovely winter scene. Oh gorgeous set and scene Kitty! I love the Embossed Resist technique. It such fun! You did a beautiful job and the scene is so cute! Congratulations on your GDT spot Hugs. What a great set for your Guest Designer post Karen. I am so grateful - they are truly gorgeous. Yes, we can make things without stamps! I love my stamps but I also love not using them and testing myself to see what I can achieve. It's amazing how creative we all can be. Thank you from Unstampabelles and myself! What a stunning set, and n poo stamping, wow! Great tip on how to apply the Versamark thru the stencil, anxious to try this. Congrats on your guest designer spot! Congratulations! They certainly know a talented artist as they picked you for their team and you certainly did not let them down! These three items are so fantastic and beautiful! I am afraid I would mess up and use a stamp, but you certainly pulled it off in top notch fashion. I just love these and so cute with those kitties sliding on a candy cane. 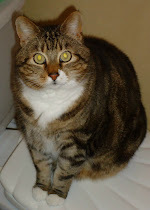 Congratulations on your Guest DT spot Kitty, it's very well deserved! You've done a fabulous job putting your gift set together, I love how it all matches. The candy-cane-riding cat is very cute, especially the way his hat sits at a jaunty angle. I love the background colour and the way you added the falling snow. Fabulous work! Lovely work. Congratulations on being guest designer. 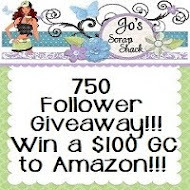 Thank you for joining the challenge at Creative Fingers, Gecko Galz and Not Just Cards. Hope to see you again next time. Adorable gift set, Kitty. The Scene you´ve created is lovely. A gorgeous collection here I love the image you've used over the three pieces you've made. Absolutely beautiful creations. Congratulations on your GDT place with us at Unstampabelles. Oh my! This set is fabulous! The cat is awesome and so cute! 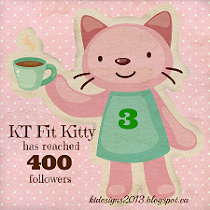 I love the scenes with snowflakes, the blended skies and kitty having so much fun. Thank you for joining us at SSS Monday Challenge. Hugs, Macarena. Gorgeous creations here for our current challenge of 'FEATURE A CREATURE', such a cute image too.Thanks for joining in. Great GDT work! :D Didn't know stamps weren't allowed, think you have done fabulously without them! Adorable bag and tag. super cute image and both are beautifully designed. BTW Spook is on BP meds and the blindness has reversed, we are very happy. Fabulous bag, tag and card Kitty! Wonderfully designed and made - great colour scheme too! I do love that little kitty on the candy cane sled against your super backgrounds! Delightful cards and tags, sweet images and lovely colours so beautifully designed and crafted. 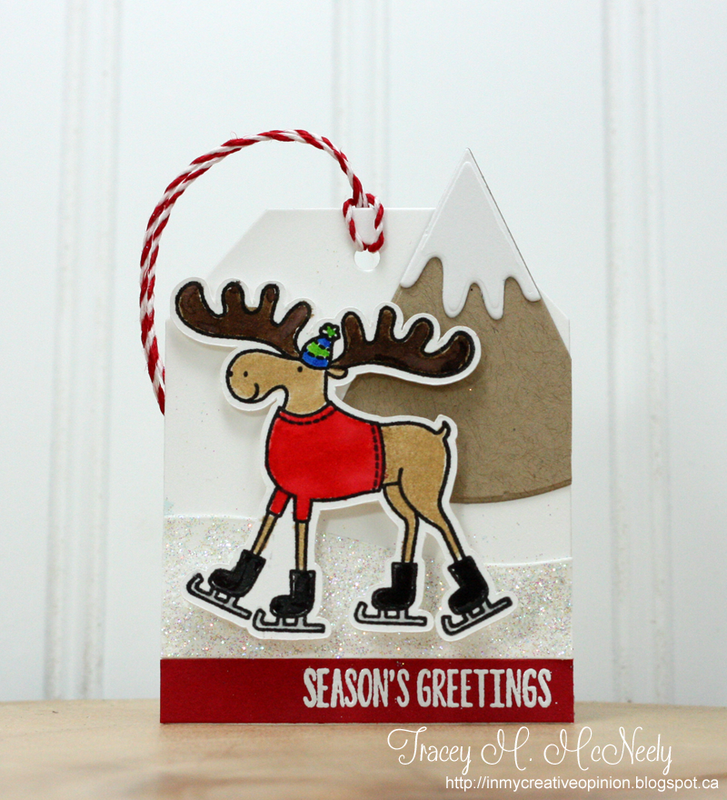 Thank you for playing along with us at Christmas at Sweet Stampin’ this month. Your recipient is going to be so lucky - all three items are just darling! You totally rocked the stamp resist technique - these turned out beautiful! Thanks again for linking up to the Paper Girls Tag challenge! These are lovely, I do like the bright colours you have used. Kitty your creations are amazing! I love the scene you created and you kept throughout! Congratulations on your GDT post! so much fun! GORGEOUS!!!! Thanks for playing along at HIMCR! Congratulations on your GT! These are lovely projects! Great card. Thanks for joining us at Fabrika Fantasy. What a super fabulous trio Kitty...a beautiful gift!! I love the design and these sweet kitties! Such a beautiful set, love the colours and the sweet image. Thank you for joining us at Paper Creator's Crafts. Totally adorable! Thanks for playing with us over at the Paper Shelter. Such great projects, card, box and tag. Loving the bright blue in contast with the white. The scene is adorable and beautifully made. Kitty, these cards, tags and bags are just gorgeous. They are a great set and you do such a great job at the backgrounds. And I can't believe how many kitties you have, hehe. 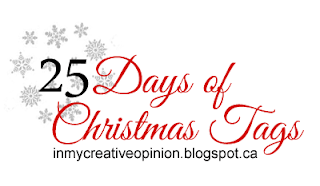 Thanks for joining in our Challenge of Christmas is Coming at Imagine That Digistamp, Lisa Lynn DT. This is so cute! I love the dimension. thanks for sharing! Thanks for playing along with the Clique Kits anything goes challenge! Eeek! I love that little kitty! So adorable!! :) Thank you for entering the Clique Kits Challenge! Lovely card and tag with sweet image and Faboulas colours. It wouldn't be a Christmas tag from you without a kitty on it! This is SO CUTE! Each one is so darling I want to take them all home! Hello... it’s so nice to see you have joined us again with another one of your fabulous cards. Super set of Christmas cards, using such cute images and great colouring. Beautiful card design. Thank you for sharing your cards with us at Crafty Friends... Good luck in the draw and we hope you will come back again soon. wow, amazing set, sooo cute and I love your bright colours. So cute..love the snowy BG..and the kitty is really adorable..congrats on your GD post..
Oh these are so stinking cute! I love that kitty on the candy cane sled! Love the bright and bold colors of your card! Thanks for sharing with us at Unicorn Challenges! Great christmas set. Beautiful background and sweet winter scene. A great card - thanks for joining us at Lil Patch of Crafty Friends and we hope to see you back again for our next challenge. A wonderful matching gift set with lots of sweet details. 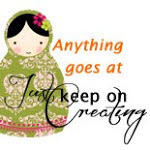 Thank you for joining us over at Scrap & Craft Inspiration. Good luck! Love the sweet scene on this matching set! The color combo is fabulous and one of my favorites for this time of the year. Thank you for joining us at Fabrika Fantasy for our Christmas Is Coming challenge. Your creations are divine! Thanks again for participating to the Clique Kits challenge! 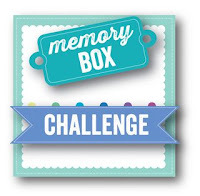 Thanks so much for entering your creation into our current challenge over at Imagine That! Creative Playground. Good luck in the draw. Thank you for playing along with us in this challenge at Clique Kits!